This week, the Obama administration dismissed charges against an arms dealer accused of selling weapons destined for Libyan rebels after said dealer threatened to expose Hillary Clinton’s crimes. Lawyers for the Justice Department filed a joint motion to dismiss with prejudice in a US Federal court to drop the case against the arms dealer, American, Marc Turi. According to Politico, the trial threatened to cast scrutiny on Clinton’s private emails and to expose reported Central Intelligence Agency attempts to arm rebels fighting Libyan leader Moammar Qadhafi. A Turi associate asserted that the government dropped the case because the proceedings could have embarrassed Clinton and President Barack Obama by calling attention to the reported role of their administration in supplying weapons that fell into the hands of Islamic extremist militants, according to Politico. In light of the Court’s discovery rulings, the administrative resolution between DDTC and the defendant, and other factors, the government seeks leave of the Court to dismiss the criminal matter with prejudice pursuant to Rule 48(a). Dismissal is appropriate under Rule 48(a) in these circumstances. According to the agreement, Turi admitted no guilt in the trading of arms but agreed to refrain from dealing arms under US regulations for four years. As long as Turi abides by the agreement, a $200,000 civil penalty will be waived. In 2014, the federal government indicted Turi on four felony counts: two of arms dealing in violation of the Arms Export Control Act and two of lying to the State Department in official applications. According to Politico, Turi adviser Robert Stryk of the government relations and consulting firm SPG accused the government of trying to scapegoat Turi to cover up Clinton’s mishandling of Libya. 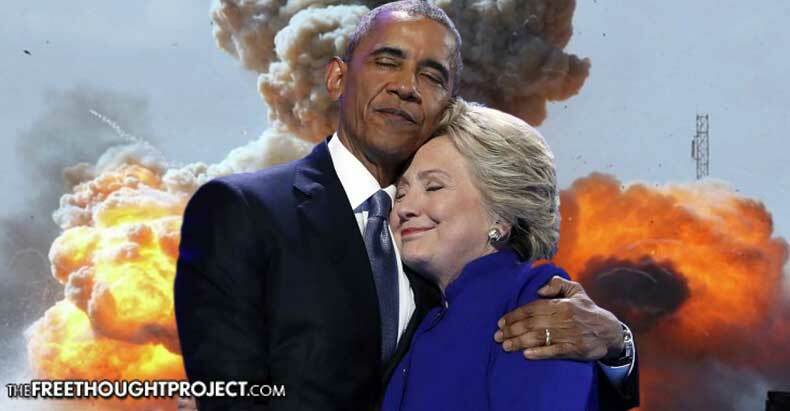 “The U.S. government spent millions of dollars, went all over the world to bankrupt him, and destroyed his life — all to protect Hillary Clinton’s crimes,” he said, according to Politico, alluding to the deadly Sept. 11, 2012, terrorist attack on the U.S. Consulate in Benghazi, Libya. However, multiple sources suggest that weapons have moved from Libya to Syria where the US is engaged in a proxy war with Bashar al-Assad’s regime. Hersh didn’t say whether these ‘arms’ included the precursor chemicals for making sarin which were stockpiled in Libya. But there have been multiple independent reports that Libya’s Gaddafi possessed such stockpiles, and also that the US Consulate in Benghazi Libya was operating a “rat line” for Gaddafi’s captured weapons into Syria through Turkey. According to Politico, during 2013 Senate hearings on the 2012 Benghazi attack, Clinton, under questioning from Sen. Rand Paul (R-Kentucky), said she had no knowledge of weapons moving from Libya into Turkey. As the presidential debate circus continues, Americans are getting a heavy dose of reality as they are forced to choose between a socialist war criminal and an egomaniacal fascist goon. Come November, however, it matters not who wins the election as the American people will most certainly lose.